Overview: This is it! The day we thought would never happen. The Fantastic Four have broken up. The Four is no more. Good thing this is the ninth and final volume of Essential Fantastic Four,. When we left off with the last volume, the Fantastic Four was at a crossroads. Reed Richards is powerless. Now at other times when the team has been down one member, they simply recruit another member to fill the spot. Not this time. Nope, time to disband the team and go their separate ways. Let’s give up the lease on the Baxter Building and move on. Johnny tries driving race cars, Ben becomes a test pilot, Sue goes to Hollywood to star in a movie, and Reed joins a think tank. And everyone lived happily ever after, right? As luck would have it, the individual stories eventually merge into one storyline, bringing the foursome back together. Seems like Reed has been working on a project for a mysterious benefactor that turns out to be none other than Doctor Doom. This leads to Reed being launched into space to be exposed to cosmic rays once again, leading to predictable results. Reed returns to Earth in his stretchable form and leads the team to stop Doom from taking over the world. 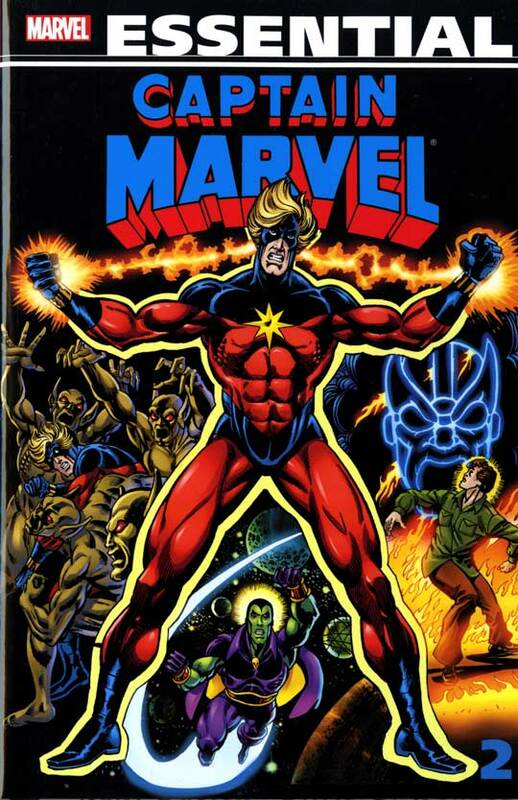 The volume comes to the conclusion with the start of the Skrull-Xandar war, which was also featured in the final issues of the Nova series. Unfortunately, neither Essential book contains the full storyline. You need to track down the Nova Classic Vol. 3 trade paperback to get the full story if you can’t find the individual issues. What makes this Essential? : I admit I am very partial to this era, as I was reading the Fantastic Four on and off as these issues came out in the late 1970s. Honestly, this build-up to issue #200 is a good Doctor Doom story, a character that had not been used much in the pages of Fantastic Four for some time. Personally, I think that helped recapture some of the nostalgia of the Lee-Kirby era with this big storyline. Marv Wolfman really gets these characters and doesn’t get the credit he probably deserves for his work on Fantastic Four. This would be a near perfect collection if it didn’t force us to track down the finish to the Nova storyline. 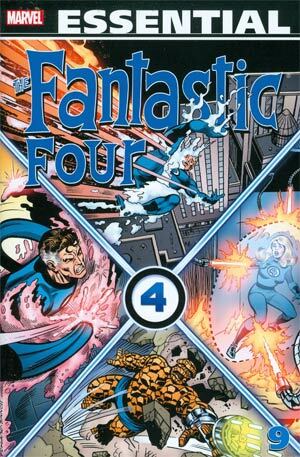 Footnotes: Fantastic Four #189 is a reprint issue of Fantastic Four Annual #4, which was reprinted in Essential Fantastic Four Vol. 3. The new cover to Fantastic Four #189 is included in this Essential. If you like this volume, try: John Byrne’s legendary run from 1981 (Fantastic Four #232) to 1986 (Fantastic Four #295). Byrne did a stint as the artist on the book shortly after the end of this Essential volume, but those issues were still written by Marv Wolfman and Bill Mantlo. Byrne got a two-issue try out in #220 and #221 where he wrote and drew the issue. But beginning with issue #232, Byrne took over as the regular writer and artist on the “World’s Greatest Comic Magazine”. The book was really revitalized under Byrne’s direction and reaches new creative levels not seen since the days of Jack and Stan. This run has been collected in two Omnibus editions and multiple Visionaries volumes. If you are a fan of the Fantastic Four, you should own a set of these issues in your collection. Overview: Jack Russell is your typical teenage boy growing up in southern California in the 1970s. He’s just turned 18, he can’t stand his stepfather, and his mom is always nagging him about something. But turning 18 brings on a change to Jack Russell, as he finds out that he carries a recessive trait thanks to his birth father, who he never really knew. Turns out dear old dad was also a lycanthrope, and now Jack is too. Not familiar with the lycanthrope term? Let me save you the time of looking it up and clue you in on the more common term – a werewolf! This is Essential Werewolf By Night Vol. 1. So now at the start of each full moon, Jack Russell undergoes a transformation into a werewolf. He retains very little of Jack’s memories and values, reverting more to a wild animal looking for the hunt and trying to escape the city for the forest. For three days, Jack must worry about the setting of the sun and the rise of the moon, when his transformation kicks in. He’s constantly looking for a cure and often falls into traps because someone offers him the solution to his monthly hairy situation. I think we can all agree that being a werewolf is not the easiest of curses to deal with. For starters, you go through a lot of shirts – good thing you live in SoCal as the weather generally works in your favor. You try to protect your family members, like your sister. When people realize your secret, they create schemes or plans to make that work for their own personal gain. Many of these issues are one-and-done, or they might have a story that carries across three issues with each issue covering one night of the current full moon. Right or wrong, there are a lot of foes or characters that only appear once or twice, and never appear again in any other comic. Now, just because he is based in California doesn’t mean that he is isolated from the Marvel Universe. A trip to Europe in search of clues about his birth father leads to an encounter with Dracula in a memorable crossover between the respective books. Back in California, he meets up with Greer Nelson as she becomes Tigra for the first time. And in the craziest of meet-ups, the Werewolf meets up with Spider-Man in San Francisco, after Peter Parker is sent to the west coast to get pictures of Daredevil and Black Widow. What makes this Essential? : There were parts of this collection that I really enjoyed. Reading individual issues were good, but reading these issues back-to-back seems to fall apart. The problem I had is that Jack Russell’s condition is triggered by the full moon, which runs for roughly three nights every 28 days, give or take. So as I am reading this, I’m curious to find out what is going on in the 3 1/2 weeks between the end of one transformation period and the start of the next transformation period. (I had this same problem with Showcase Presents Martian Manhunter Vol. 2 when he was fighting a villain that would only appear at the start of a full moon.) If I had been reading this month-to-month, I think I would have appreciated the title more. But reading this as a complete collection, I think it doesn’t hold up. 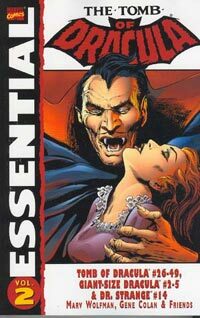 Footnotes: Werewolf By Night #15 and Tomb of Dracula #18 were also reprinted in Essential Tomb of Dracula Vol. 1. Marvel Team-Up #1 was also reprinted in Essential Marvel Team-Up Vol. 1. Giant-Size Creatures #12 featured the first appearance of Greer Nelson as Tigra. However, Greer’s first appearance in comics was in The Cat #1 (November 1972). In this short-lived series, Nelson and another woman were part of an experiment to imbue them with cat-like abilities. Greer used her abilities for good, while the other woman used hers for bad. Guess how that worked itself out? Anyway, in the Giant-Size Creatures issue, we Greer transformed yet again, this time into Tigra. Somewhere along the lines, Greer’s original Cat costume was left in the care of the Avengers. It was later claimed by Patsy Walker, who went briefly by the name of the Cat as well before settling on Hellcat. If you like this volume, try: the Fables series from DC/Vertigo and created by Bill Willingham. The basic concept of the series is that the fables we are told as kids to teach us morals and values are all true. The characters are real and still alive. In fact, they have migrated from the Old Lands and have set up residence in Fabletown, a hidden neighborhood in New York City. In addition, there is a farm in upstate New York to host the animal characters from the fables. One of the main characters from the series is Bigby Wolf, the Big Bad Wolf from ‘Little Red Riding Hood’ or ‘The Three Little Pigs’ fame. Bigby Wolf serves as the sheriff of Fabletown, and can switch back and forth between his human, werewolf, and wolf forms. 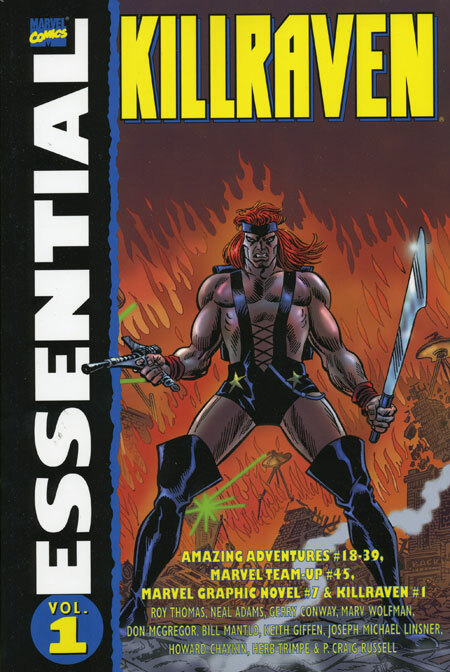 This series ran for 150 issues and is easily found in trade paperbacks and hardcovers. Overview: In the early 1970s, the Comics Code Authority started relaxing its standards, opening the doors for comic book publishers to get back into the business of publishing horror titles. Having already introduced Morbius as the “Living Vampire” in the pages of Amazing Spider-Man, Marvel was ready to get back into the monster business. First up was the king of the vampires with The Tomb of Dracula. Perhaps as an indication of the madcap rush to get the title to press as quickly as possible, Tomb of Dracula went through a long list of writers over the first six issues. Gerry Conway is credited with writing the first two issues, but the bulk of #1 was actually written by Roy Thomas and Stan Lee. Conway left after the second issue because of better writing opportunities, and Archie Goodwin took over, but only for issues #3 and #4. He was followed by Gardner Fox, who wrote issues #5 and #6. Fox was relieved of his duties on the title, and Marv Wolfman took over. It took Wolfman a few issues to get comfortable with the title character and the supporting cast introduced by the previous five writers. But once he does find his footing, the series picks up and becomes a hard book to put down. What does remain constant is the art duties of Gene Colan, who handles all of the pencilings for the issues in this volume (as well as this series). 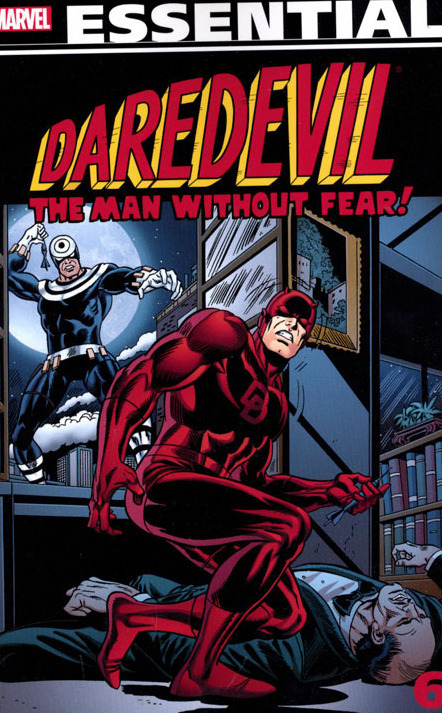 Colan’s art is just a breath-taking as his run on Daredevil, just with less spandex. Frank Drake is a descendant of Dracula, from his days before he became a vampire. Nothing would make Drake happier than putting his forefather back in the grave. Quincy Harker is a wheelchair-bound expert on vampires and has a wealth of weapons at his disposal. Blade, the vampire hunter, is a living vampire who blames the monsters for the death of his mother. Hannibal King is another vampire hunter and also another living vampire. Outside of a crossover with the Werewolf, there is very little about this book that ties it into the Marvel Universe proper. In future volumes, we will see appearances by Doctor Strange and Brother Voodoo, but in general, this is not a title that you have to read a lot of the other Marvel titles in order to understand. Conversely, characters like Blade and Hannibal King will become more prominent in other titles, with Blade actually crossing the break-out success point in the 1990s to warrant his own series, a trilogy of movies, and a syndicated television show. What makes this Essential? : Once Wolfman takes over, I really liked the book, which came as a great surprise to me. I only picked up this book a few years ago because I found it for a good price on eBay, and the collector mentality in me is obsessing to get all of the Essentials. I’ve never been a big fan of the monster concepts, either in the original novels, the classic films, or these legendary comics. So, for now, at least, I am hooked on this concept, this presentation. I should have known that with my great love for Gene Colan’s work, I should have picked this book up earlier! I do think that the black-and-white format works better for this title, even though I know it was presented in color with it was first published. I like that this story feels timeless, in that this same story could be told today (albeit with slight differences such as replacing cord phones with cell phones) and still be just as effective. 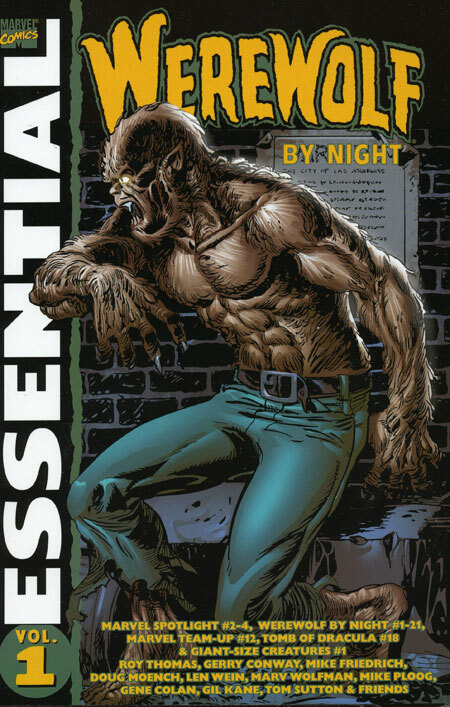 Footnotes: Werewolf By Night #15 and Tomb of Dracula #18 are also reprinted in Essential Werewolf by Night Vol. 1. The entire 70-issue run of The Tomb of Dracula was penciled by Gene Colan, who used the image of actor Jack Palance as his model for Dracula. If you like this volume, try: tracking down a copy of The Curse of Dracula, a three-issue mini-series from Dark Horse Comics in 1998. 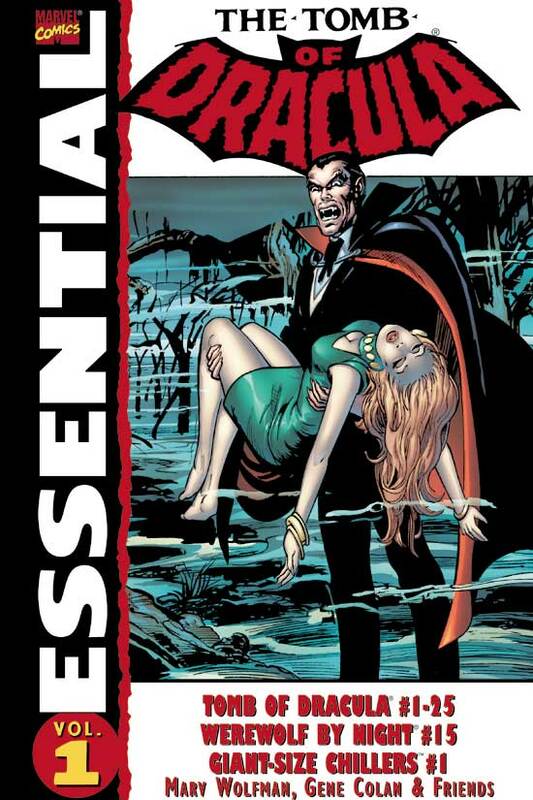 This series reunited Marv Wolfman and Gene Colan on the Dracula character, but it is not officially tied to their work at Marvel with the character. Jonathan Van Helsing leads a team of vampire hunters to the fog-covered streets of San Francisco to help solve a series of mysterious murders. It was reprinted as both a hardcover and a trade paperback, but this might be a series that is easier to find in the back-issue bin.